Rev. Hyung Jin Moon was against True Mother’s direction to be in mourning for three years for True Father after his Seonghwa. He published his video “Breaking the Silence” in the Youtube on Jan. 18, 2015. He started to criticize the executive members of the HQ and True Mother. Due to the participation both direct and indirect of the reasonous and heretical conspiracy to redact, edit and erase the numerous declarations, scriptures and traditions of the King of Kings, Messiah and Center of True Parents, the following is an order of Removal from all public positions in the Kingdom of CIG. B．The original basis of the orthodox church is the harmony with divine spirit and truth. In Divine Principle, we think that purpose and its practical method based on the motivation of our heart should be united with divine spirit and truth. In other words, even though we try to right some injustice, we cannot assert that we are orthodox unless we have thought, principle view, or providential view based on divine spirit and truth centering on God’s love. The statements of the Sanctuary Church can’t be said to be orthodox in the view of God, True Parents, and God’s providence. They are unorthodox views. These TF’s words say that God is “God of a harmonious union of dual characteristics of masculinity and femininity,” or “Parental God.” Then why does DP say: “in recognition of God’s position …, we call Him ‘Our Father’” (DP p.19)? Why have we called God “Heavenly Father” in our prayer? Wolli Wonbon states the reason as follows. In order to fulfill the purpose of God’s Creation through realizing Heavenly Kingdom as the expansion of True Family, it is necessary to establish heavenly Father and heavenly Mother. Until now, God could not but lead history as Father without Mother because the Messiah could not establish True Mother. However, now, through the victory of True Mother, God can be called “Heavenly Parent” in this age. 3．Necessity to learn True Father’s words which develop more and more. From these True Father’s words, we can understand that God has not been able to be called “Heavenly Parent” until the Foundation Day after True Parents had achieved the final unity. On the foundation of True Parents’ final unity before True Father’s Seonghwa, True Mother gave the direction to call God “Heavenly Parent” on the Foundation Day of Cheon Il Guk. She gave this direction on the providential victory based on True Father’s words. 1．Who has an authority to judge whether or not True Mother won a victory? It is God who can judge whether or not True Mother won a victory. Anyone else cannot. As we can see “Predestination” in DP, the predestination of God’s Will to fulfill the purpose of the providence of restoration is absolute. If True Father had judged True Mother could not win a victory as True Mother, he should have choose another woman as True Mother before his Seonghwa as the Messiah. It is True Father’s responsibility to make True Mother stand. Father did not try to make another woman stand as True Mother. Rather, he proclaimed the perfection, completion and conclusion accomplishing the final unity of True Parents, and showed that there would be no more extension of God’s providence after the Lord of the Second Advent. 3．To deny True Mother’s victory results in denying True Father’s victory. The first mission of the Messiah, is to establish True Mother of human beings. Jesus couldn’t establish True Mother. The statement that True Mother could not win a victory means to deny True Father’s victory. Moreover, it denys the position and value of True Children as the fruits of True Parents’ victory, and the value of all blessed families. “If you have your son, you would like to let him inherit your position. Would you let your wife inherit your position? Don’t be silly. This is God’s providence. Why was the Messiah born during the period of the Chosun dynasty? It is because establishing the foundation of the royal blood lineage. During the Chosun dynasty, God had educated Korean people in order for them to be absolutely obedient to the kingship. The Messiah could come on the foundation. 2．Who has the authority to decide the leader of FFWPU? True Parents have. On July 18, 2011, True Parents apponted Hyun Jin Nim as the vice-president of FFWPU, but after seeing his situation, they appointed Hyung Jin Moon as the FFWPU president of the world and Korea on April 18, 2008. True Parents decided it. Not decided True Father only. Therefore, after True Father went to the spirit world, it is True Mother who has the authority to decide what to do in changing situations. After True Father’s Seonghwa, True Mother wanted Kuk Jin Nim and Hyung Jin Nim to be in mourning for three years. However, Hyung Jin Nim started the criticism in his own way since March 2015, so True Mother appinted Seuon Jin Nim as the world president of FFWPU exercising her authority. Therefore, Hyung Jin Nim has had no position of the world president of FFWPU since then. Hyung Jin Nim’s proclamation of dismissing FFWPU leaders which he annonced to the world on February 8, 2015 is invalid. Also, his appintment of Mrs. Erikawa is totally invalid. 1．The only person who is given the authority by True Parents can exercise the blessing ceremony as the officiator. 2．Only when True Parents who won a victory exists, it is possible to give the authority of the blessing to the representative of True Parents. When we see True Mother failed, there is no “True Parents who won a victory,” and then it is impossible to bless human beings in God’s providence. Of couse, it is impossible to give the authority of the blessing from True Parents to their representative. As a result, regretfully, when Hyung Jin Nim sees True Mother failed, the blessing of the Sanctuary Church becomes invalid. When True Mother failed but one true child is united with True Father, is it possible to make the true child inherit the whole authority? If it had been possible, the providence to save human beings centering on Seong Jin Nim who was united with True Father would have been proceeded even though Mother Seongil Che failed. Then, every thing after that woud not have been necessary. However, such a providence did not happen. The Eight Textbooks consist of 3 kinds of books: 1) The Family Pledge; 2) 4 books of True Father’s words based on the Sermons of Rev. Sun Myung Moon; 3) DP and World Scripture (systematically explaining theology).Four books of TF’s words are excerpts from the Sermons of Rev. Sun Myung Moon, which is also one of the eight. Originally, all people in the world have to learn the Sermons of Rev. 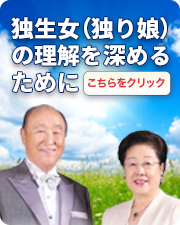 Sun Myung Moon in Korean, but it is difficult in reality. Therefore, 4 books including Cheon Seong Gyeong were compiled by extracting TF’s words by every each theme. Originally, we shuold have had to establish God’s kingdom by the Foundation Day using the Eight Textbooks during TF’s lifetime. Many of the sects of FFWPU criticize True Mother for her falsifying TF’s words when she published new “Cheon Seong Gyeong” as the new scripture of CIG. However, “Falsifying TF’s words” means to change TF’s words in her selfish way. True Mother just replaced TF’s words with new ones as needed. Therefore, TF’s words in both of “Cheon Seong Gyeong”s are totally precious because both of the two are direct quotations of TF’s words in the Sermons of Rev. Sun Myung Moon. The Sermons of Rev. Sun Myung Moon are not completed yet, so from now, TF’s words which are not published yet should be added. True Mother had to take responsibility for these TF’s words. God and True Parents have walked the way not to judge but to save the fallen human beings. 1．The secret of overcoming the sectalian trials is to recognize through divine spirit and truth. Spirituality is the subject partner and intellect is the object partner, so when we have a deep relationship in heart with True Mother, we become loyal to her, but when the relationship go sour, we become critical of her. Therefore, unless the entangled relationship inheart is fixed, it is difficult to solve the peoblem even though pointing the wrong theory. When we have stronger relationship in heart with someone than with True Mother, we will follow him. For example, when Eve came to have stronger relationship in heart with Archangel than with God, she followed the Archangel. 3．Criticizing True Mother is betrayal against True Father. True Father sacrificed himself in order to make our memebrs, who had accepted True Parents and worked hard with them for the fulfillment of God’s will, not failurers but victorious people. Through it, Father gave us the providence until 2020 centering on True Mother. Therefore, we have to know that denying True Mother is betrayal against the last love of True Father who invested himself in make us win a victory.